Islamic Regime in Iran brutally Flogs 17 Mine Workers! The Islamic Regime in Iran continues its brutal attack on human rights! This month 17 mine workers were flogged for peacefully protesting the dismissal of 350 workers who worked in gold mines. The Islamic Regime in Iran continues to systematically violate the rights of Iranian workers by not paying them fair/market wages, withholding payment of wages for months at a time and dismissal and firing of workers. At the same time the Islamic Regime will not allow workers to exercise their legal rights to peacefully protest or to unionize and demand their rights. A prominent labour worker Jafar Azimzadeh is currently serving a 6 year prison term, and has been on a hunger strike for more than 30 days to protest against the brutal treatment of Iranian workers. Other workers are wrongfully imprisoned and now the Regime has taken on flogging workers for peacefully protesting in order to create an atmosphere of fear and terror! I urge all human rights activists and organizations as well as the Government of Canada to condemn Islamic Regimes systematic persecution of Iranian workers. Sayeh Hassan is an Iranian-Canadian lawyer, blogger and pro-democracy activist. 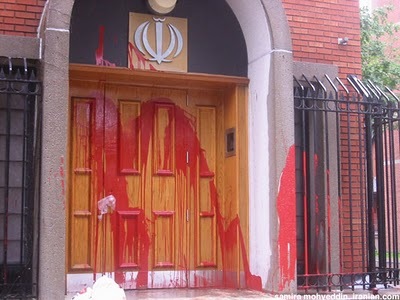 No to re-establishment of Canada-Iran Relations, No to re-opening of the Islamic Regime Embassy in Ottawa! Take Action Now! I know many of us in the Iranian Canadian community are extremely concerned about the re-establishment of Canada-Iran relations as well as the possible re-opening of the Islamic Regime Embassy in Ottawa. It is crucial at this time that we make sure our voices and concerns are heard both by the Canadian Government and the Canadian Media, which is why it is imperative for everyone of us to take the appropriate steps to make sure the Canadian Government hears our voices as loudly and clearly as the voices of Iranians who are lobbying for the re-establishment of relations and especially re-opening of the embassy. What can you do to make a difference? 1. Contact your local Member of Parliament and Provincial Member of Parliament by phone, email or by meeting them personally and speak to them about your concerns. Remember MP’s and MPP’s are generally very receptive and sensitive to the concerns of their constituents, so please take the time to contact them. 2. Contact the Office of the Prime Minister and the Office of the Minister of Foreign Affairs and voice your concerns both with respect to the human rights issues in Iran and any safety and security concerns you might have about the re-opening of the embassy. 3. Contact the Canadian Media! Tv, radio, print media as well as online media are excellent sources for bringing awareness about the human rights situation in Iran, raising concerns about Iran’s support for international terrorism and concern for safety and security of Iranian Canadians and their families in Iran if the Embassy was to re-open. Take the time to contact reporters who have written or reported on this issue before. 4. Write English articles and share on online media as well as social media. Remember while Facebook and Twitter are excellent tools for raising awareness, to make a real difference we need to take our concerns to the Canadian Government and the Canadian Media. Please take the time to do so. Together we can make a difference, please start taking action today! 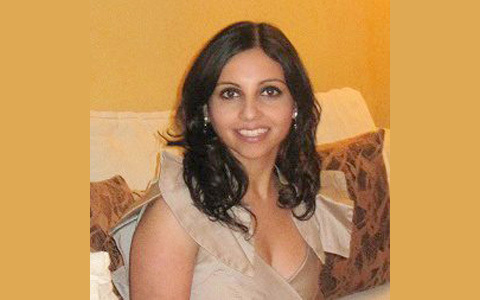 Sayeh Hassan is an Iranian Canadian Lawyer, Blogger and Pro-Democracy Activist. 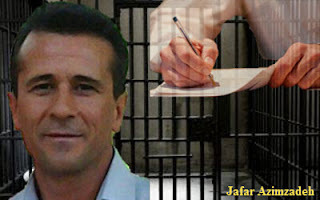 Jafar Azimzadeh, Prominent Iranian Labour Activist on a 3 Week Hunger Strike! Jafar Azimzadeh, is an Iranian prominent labour activist who was arrested in November of 2015 and sentenced to a six year prison term for his peaceful involvement in Labour Rights Activities. Mr. Azimzadeh went on an indefinite hunger strike three (3) weeks ago in order to protest Islamic Regime's criminalization of peaceful labour activities. In an open letter Mr. Azimzadeh co-authored with an imprisoned teacher activist Ismail Abdi they demanded the removal of the charge “associating and colluding with intent to act against national security" from the open files of all imprisoned protestors and activists including themselves. Among Mr. Azimzadeh demands are the end to low and below poverty wages of workers in Iran, an end to the ban by the Regime to mark and celebrate International Workers Day as well as Teachers day as well as an end to the ban against forming independent labour unions. Mr. Azimzadeh is currently imprisoned in the notorious Evin Prison and has been on a hunger strike which has greatly deteriorated his health. The Islamic Regime in Iran must release all political prisoners immediately and unconditionally and it must stop violating the rights of workers & teachers immediately! Canada must continue to hold Islamic Regime accountable for its systematic and brutal human rights violations and urge Iran to upheld the rights of its own citizen. This month, the Federal Conservatives in Canada held Iran Accountability Week 2016, which was organized by Senator Linda Frum and MP Tony Clement. Around the same period of time, the Canadian Senate held an Iran Inquiry that reported on the systematic human rights violations committed against political prisoners within the Islamic Republic of Iran. A number of Senators from across the political spectrum in Canada presented information about the dire plight of Iranian political prisoners. My recent article "Elections mask brutal reality of life in Iran" which was published by The Hill Times on March 14th 2016, where I discuss why Canada should continue to exercise extreme caution in dealing with Iran and should maintain sanctions against elements of the regime implicated in the sponsorship of terrorism and the abuse of human rights. TORONTO—On June 15, 2013, The New York Times declared effusively that the election of Hassan Rouhani represented the victory of “a mild-mannered cleric who advocates greater personal freedoms.” One year into his presidency, 411 Iranians had been killed in a six-month spate of executions carried out by the regime in Tehran, often in gruesome public ceremonies. According to the UN report on which these shocking statistics are based, offenders guilty of “adultery,” drug possession, alcohol consumption, and “enmity against God” are all eligible for the death penalty. These denuded “reformist” factions then proceeded to back a number of appalling but approved candidates for the Assembly of Experts, which will be tasked with choosing the country’s next supreme leader. This includes two former intelligence ministers alleged to have organized the killing of political dissidents, radical clerics with virulent anti-Western agendas, and another cleric who has endorsed violence as a means to force Iranian women to adhere to dress codes. This is not to disregard the many pro-democracy activists working to bring about democratic change and respect for human rights in Iran. But the tragic reality is that they are either imprisoned, working fearfully underground, or—like me—living abroad. There is no place for meaningful dissent in the Islamic Republic, and the recent election reaffirms this unfortunate reality. Having fled Iran in the 1980s with my family, I have spent years raising awareness here in Canada about the regime’s ongoing human rights abuses. I regularly explain to my colleagues that, as in many autocratic states, there is a world of difference between the Iranian people and the regime. The people of Iran are remarkably educated, moderate, and engaged with the world. In stark contrast, the regime is a regressive theocracy with an expansive structure of oppression in Iran and a ruthless, hegemonic agenda for the region. Tehran works systematically to identify and destroy any source of potential challenge to its rule and agenda. The regime also targets any community that undermines its utopian vision of a Shia theocracy—including LGBT and Baha’i citizens, as well as Christian pastors the regime believes could entice Muslims to convert. What far too many in the West fail to recognize is that superficial elections—which represent the transfer of nominal power to the people on a limited basis—are not only consistent with an authoritarian theocracy. These “democratic” exercises are central to the regime’s efforts to manage public discontent at home and alleviate Tehran’s public relations challenges abroad. The international community must send a united message to the regime that it will never enjoy global legitimacy so long as it restricts public office to a select group of candidates, rejects pro democracy candidates, jails political dissidents, and imposes archaic religious laws that victimize women, religious minorities, and LGBT Iranians. For its part, Canada should continue to exercise extreme caution in dealing with Iran and should maintain sanctions against elements of the regime implicated in the sponsorship of terrorism and the abuse of human rights. For as we have seen in countless troubled parts of the world, a ballot box can be a convenient prop for a decidedly undemocratic state to deflect attention from an insidious record. Sayeh Hassan is a criminal defence lawyer in Toronto and a pro-democracy activist fighting to change Iran’s Islamic regime. The Islamic Regime in Iran has arrested 8 women for “un-Islamic” acts namely posting photos of themselves on social medial without wearing a head scarf. 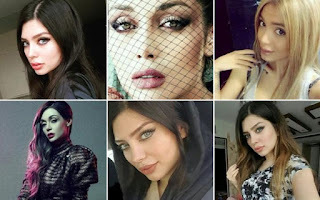 Among those arrested is a model Elham Arab who is well known for modelling wedding dresses and posting pictures of herself on social media without the head scarf. The arrest of these 8 women is part of a greater crackdown on at least 170 other women who have not yet been identified. 11 May 2016, Ottawa, ON – Yukon’s Senator, Daniel Lang joined his colleagues in the Senate on Tuesday in calling attention to the human rights abuses in Iran and the detention of numerous political prisoners. 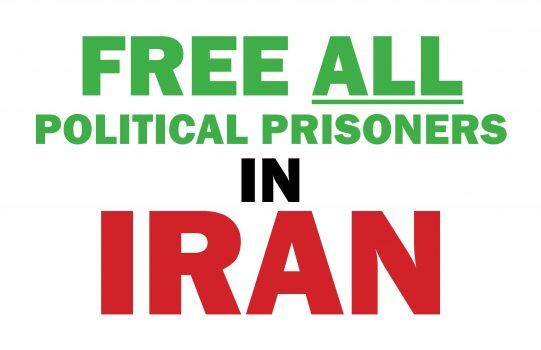 Specifically, Lang raised the plight of Ali Amir Amirgholi, a 33-year-old human rights activist and former university student who is currently held in Ward 8 of Tehran's notorious Evin Prison. The Revolutionary Court in Tehran, presided over by Judge Salavati, sentenced this non-violent activist to a 21-year prison term on the basis of outlandish charges, such as insulting religious sanctities, insulting the supreme leader and propaganda against the regime. In 2014, The Guardian, in the U.K., identified Judge Salavati as one of Iran's most corrupt judges owing to his leading role in cracking down on free speech and pro-democracy activities. Through his peaceful activism in 2014, Amir was defending the human rights of Iranians and participated in a peaceful protest outside the United Nations' office in Tehran in solidarity with the people of Kobane, Syria, who were then under siege. A couple of months later, Amir was arrested by Iranian authorities and transferred to a solitary confinement cell in Evin Prison, where he endured two months of interrogation and torture. In addition to raising the case of Mr. Amirgholi, Lang saluted the work of four Iranian Canadian women, Ms. Nazanin Afshin-Jam, Ms. Homa Arjomand, Ms. Sayeh Hassan, and Ms. Shabnam Assadollahi, all of whom were very fortunate to escape to Canada from the Ayatollah's Iran and are actively leading efforts nationally and internationally to promote Human Rights and democracy. Ms. Nazanin Afshin-Jam is an international human rights activist and author and co-founder of Stop Child Executions. She has utilized her role as a pageant winner to become a voice for those who need to be heard. She continues to champion causes, which makes all Canadians proud. Ms. Homa Arjomand continues the struggle for freedom, supporting Iranian children's and women's rights. She also works with battered women and girls in Canada through the Let's Talk program with abused children. She is also the coordinator of the International Campaign Against Shari'a Court in Canada. Ms. Arjomand appeared before the Standing Senate Committee on National Security and Defence last year during our study on radicalization and threats to Canada. She was most eloquent in her presentation and in describing her escape from Iran to a UN refugee camp and then on to Canada. Ms. Sayeh Hassan is a prominent criminal defence lawyer and pro-Iranian democracy advocate who collaborates with Iranians and other transnational activists to advance the cause of human rights and democracy in her oppressed ancestral homeland. Through her blog focusing on the pro-democracy movement and regime changes in Iran, she stays in close contact with activists in Iran and retains contact with various human rights and pro- democracy organizations abroad. She regularly speaks at conferences and has appeared on television and radio and in numerous publications in Canada. Lang noted that at the beginning of these remarks I described life in Evin Prison where Mr. Amirgholi is held. These words were from a brave survivor, Ms. Shabnam Assadollahi, who is here with us today in the gallery. Ms. Shabnam Assadollahi is an outstanding democracy activist who writes and broadcasts in Canada. Through her international network, she exposes clandestine Iranian influence activity in our country. Photo attached of the Honourable Daniel Lang and the Honourable Linda Frum, meeting with former Evin Prisoner and Canadian human rights activist, Ms. Shabnam Assadollahi in the Senate following the inquiry into Human Rights Abused in Iran.